The signs would also have to indicate the the area where stopping is prohibited. Without that they are pretty meaningless. Ah, of course. So people, including foreigners who might have just landed at the airport, are supposed to read the Byelaws (which incidentally are claimed not to be in use) before driving through the airport. I hope, for the sake of those diligent enough to do so, that the Byelaws actually do mark out the areas where stopping is prohibited. Bylaws? Arn't they trying for, "Bye laws, bye!"? is therefore a criminal offence - until that time." be binding if it is capable of being executed legally. a breach of the CoP, and a breach of the CoP means no access to DVLA records? 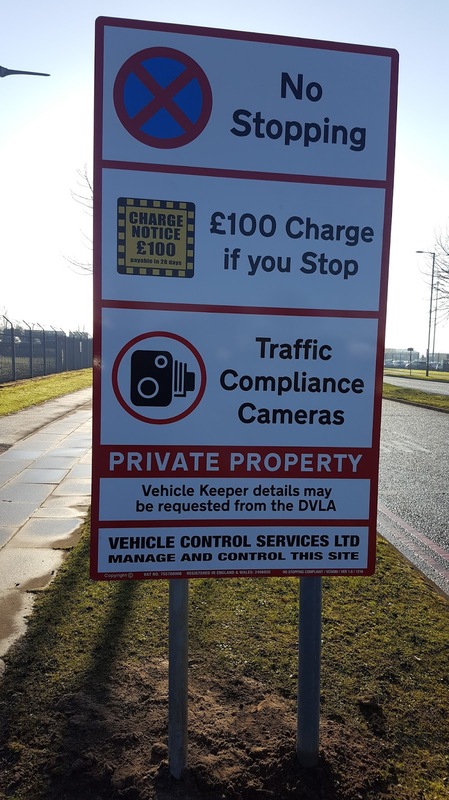 Accessing DVLA records without authority has serious data protection implications, not to mention potential compensation entitlement. (See also my second post, below, on bye-laws). circulars or other printed or written matter." 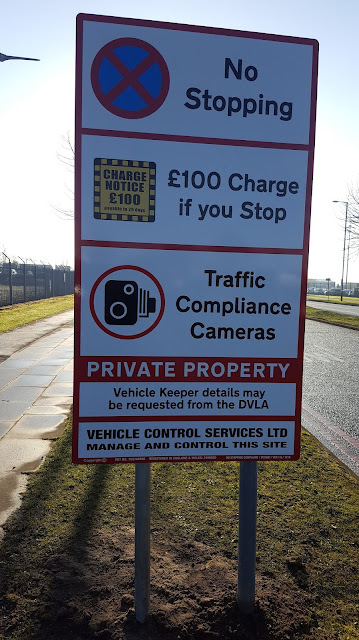 That seems to embrace the signs along the approach roads, maybe also the signs in the pay & display car parks? be backdated - see previous post). bye-laws are "hereby revoked" we will know the truth! or even thousands of PCNs later. contractually bound to abide by various restrictions. carrying out its obligations under the Contract." to use KADOE, and keeper details should not be given. to the installation of signs (condition precedent, concurrent and subsequent). Easy to miss is the requirement that the appointment of the operator is subject to all necessary permissions having been obtained. 2017 with Liverpool City Council). On the face of it it is not a retrospective application but seeks permission for new signage for an upcoming 5-year (i.e. standard) term commencing 31 Jan 2017.
are witheld (presumably for secrecy). Stopping at Any Time" signs with all the sort of details seen on the older generation of signs. the CoP (whether BPA or IPC) is breached, and keeper details may not be obtained (see Supreme Court quote in my earlier post) from DVLA. Surely all these PCN's should be refunded? upcoming five years commencing 31st January 2017.
tarmac - these are not mentioned in the application.